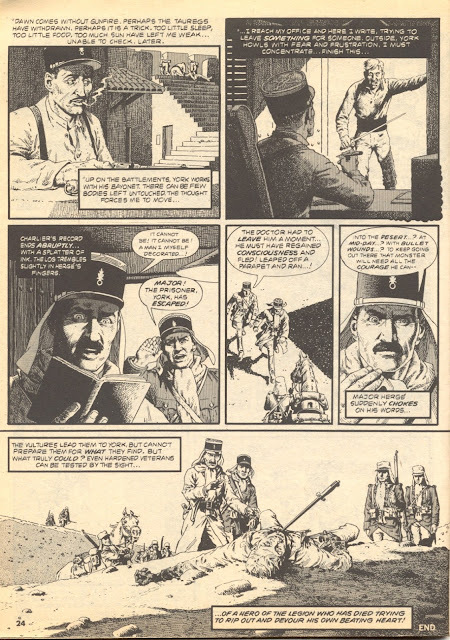 On Sunday, February 12, 2012, we lost another of the true greats. 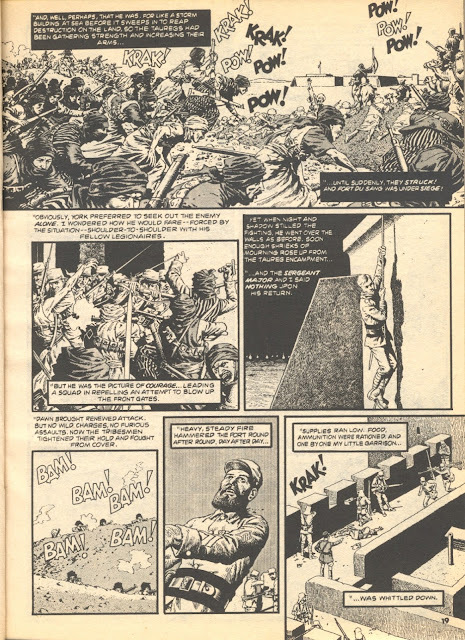 At age 90, Eisner Awards Hall of Famer John Severin passed, leaving a legacy of distinct and elegant art that has touched and entertained comic art lovers for over six decades. He's best remembered by the world-at-large for his spot-on caricature-filled art in Mad and Cracked, but comicbook fans know him as a do-everything kind of illustrator. War, westerns, science fiction, horror, super-heroes, Severin did it all with a wholly original style that just loaded the senses with detailed pencils and lush inks and crosshatching that could make the most unbelievable totally believable. Ol' Groove especially dug it when "Sev" worked on historical tales. 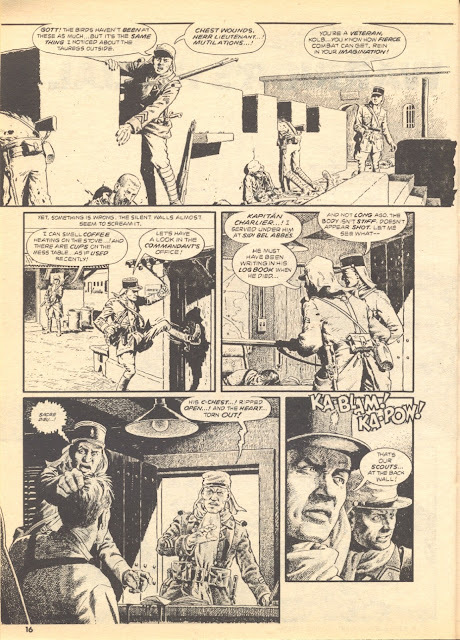 His eye for detail really shone in those pieces, as he obviously studied whichever era he was drawing to give it an almost photographic authenticity. 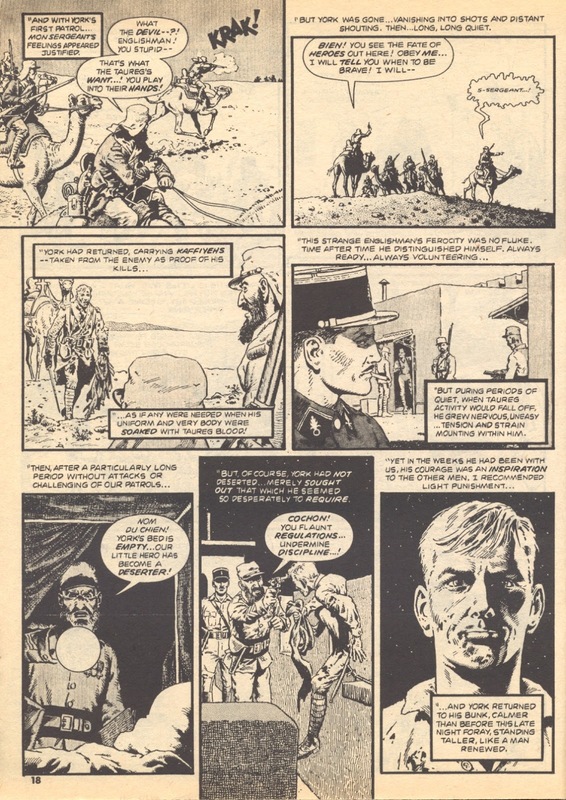 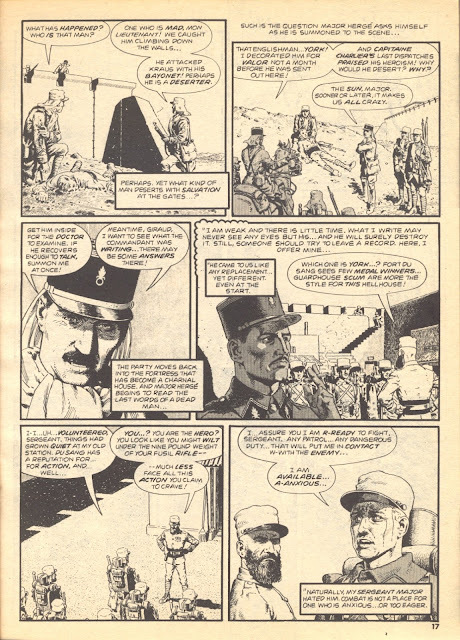 I think this Archie Goodwin-scribed tale, "Warrior's Ritual" from Creepy #112 (August 1979) is a fine example of John Severin's ability to make us really believe in what he was drawing. 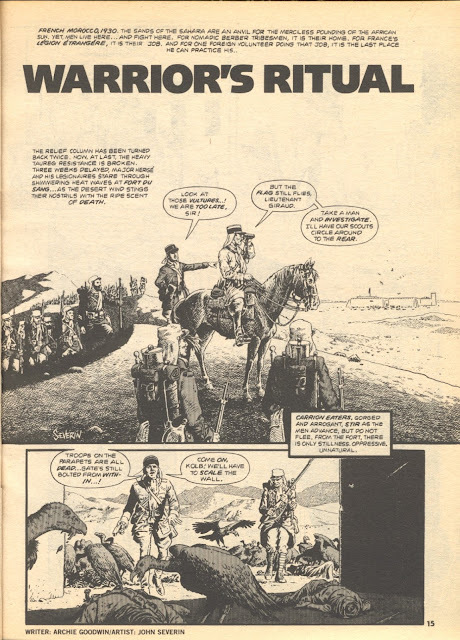 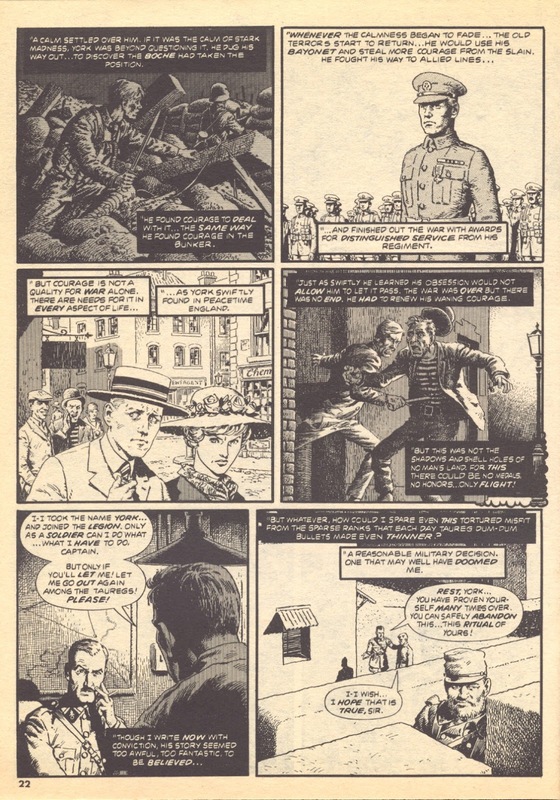 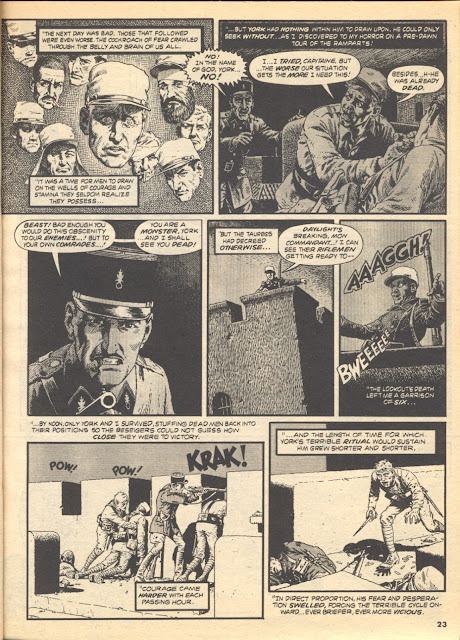 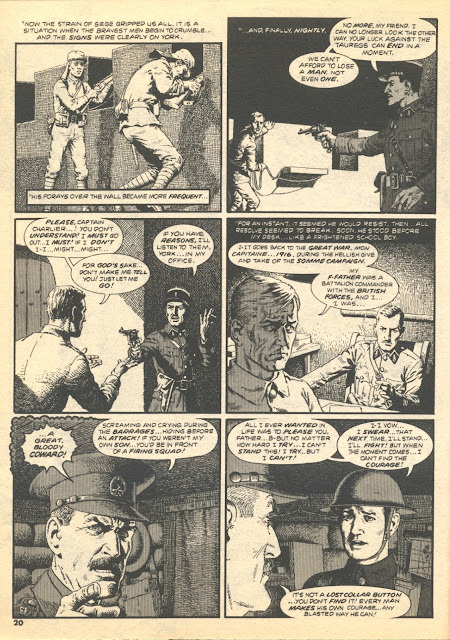 And to think that Mr Severin drew comics pushing ninety. And he truly did pull out all the stops on this one. 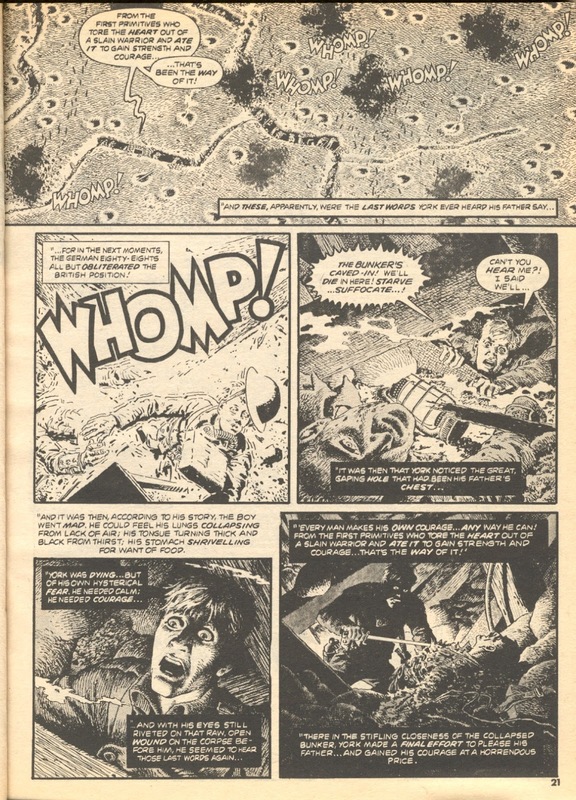 I had the Creepy reprint issue this story appeared in. It is one of ma all-time favourite Severin illustrated comic stories.